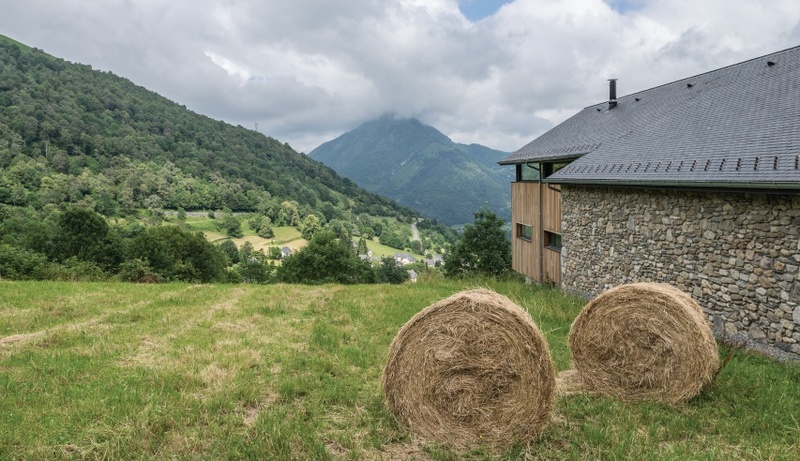 Located between 650 and 750 metres above sea level, the village of Bilhères en Ossau (France) dominates the surrounding landscape. 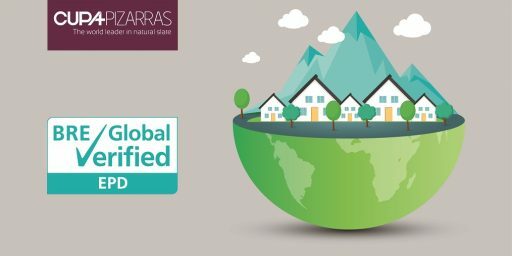 The area has seen an influx of residents from other towns, keen to build modern houses that can make the most of the breathtakingly beautiful views of the nearby valley and mountains. 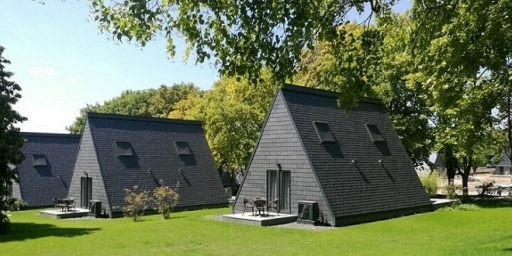 This bioclimatic house is probably the best example of this new trend. 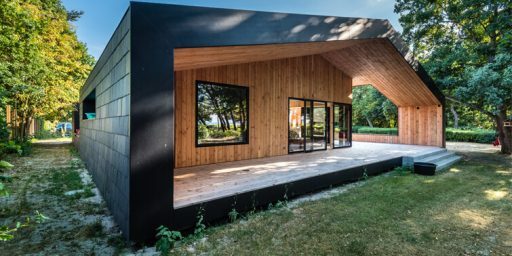 Jean-Pierre Bourgerie, head architect for the project, wanted to meet very specific requirements: high quality natural materials, simple lines, and maximum thermal efficiency. 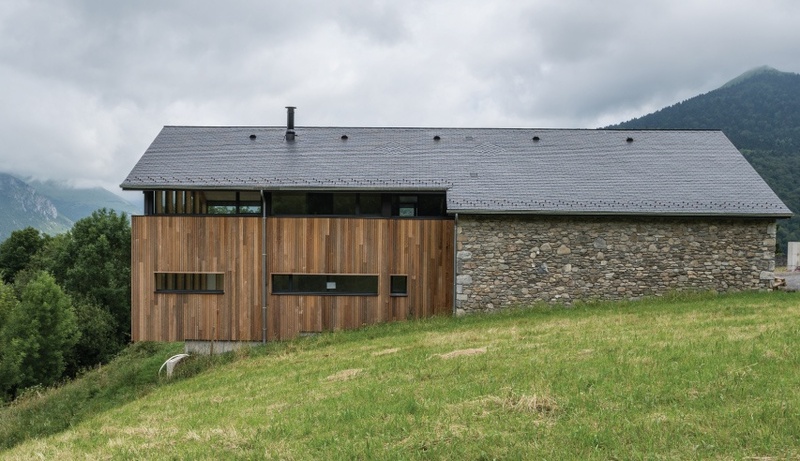 Located on sloped hill, the design also had to be adapted to the uneven ground. There were some design constraints due to the location and climate. The foundations and the roof had to be adapted. The single-storey design projects towards the valley with a 2-metre cantilever that maximizes living space area. 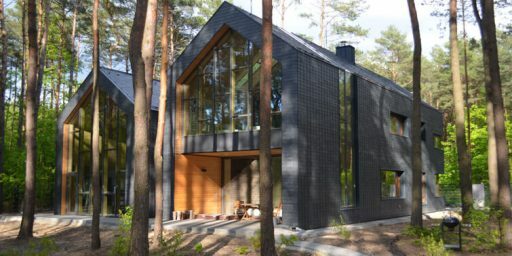 Natural materials like stone, wood and slate were chosen to blend with the environment. The result speaks for itself. 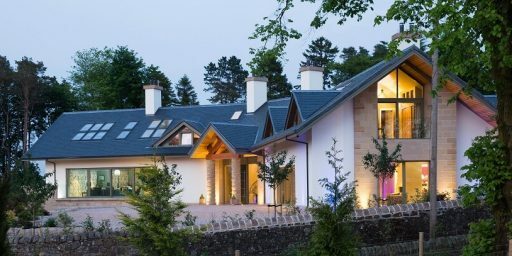 Thermal efficiency and sustainability were two main concerns for the architect. 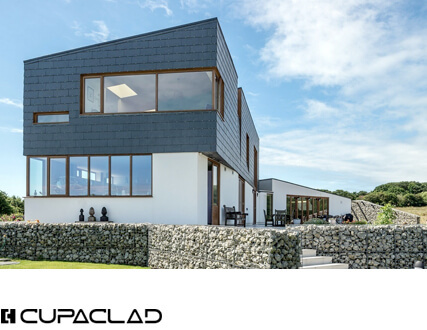 From the ways windows are orientated to the pitch of the roof, everything is painstakingly planned to make the most of the environment. 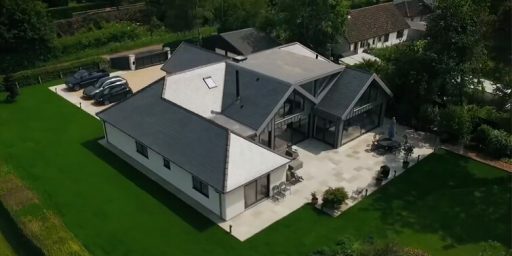 In projects like this one solar collectors are almost a requirement, but traditional models with reflective surfaces stand out like a sore thumb in the roof. 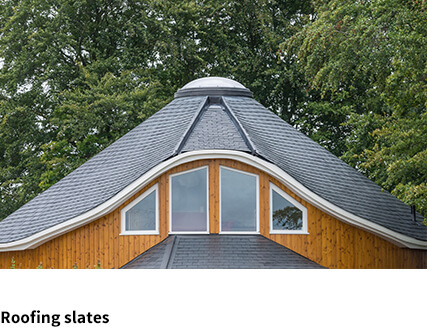 THERMOSLATE® is the only solar collector to remain completely hidden once installed in a natural slate roof, leaving the architects design untouched. 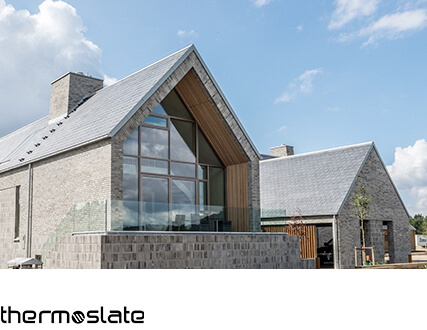 We explained the owners that hot water and heating consume high amounts of energy and THERMOSLATE® is a good solution. 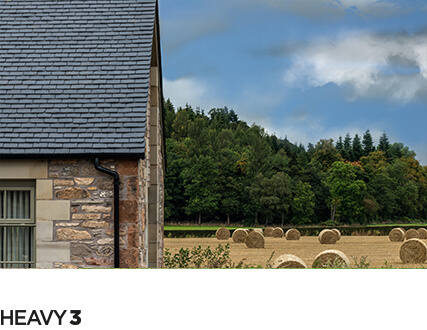 THERMOSLATE® panels are easy installed by the roofer and connected to a 500-litre water tank by the plumber, just as any other thermal solar collector. 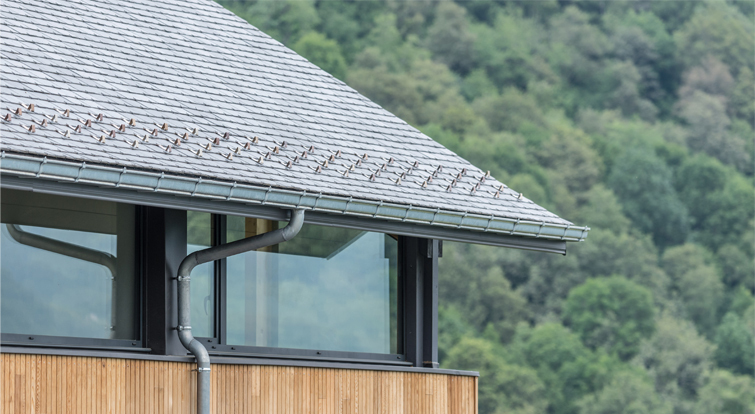 This was the first time that these professionals had worked with the Thermoslate solar collectors, but installation was very straight forward.